2018 is a great year for events at the RLSM! We are partnering with some phenomenal organizations and businesses to bring Stevenson to YOU in new and exciting ways! Check here regularly to see what new events are on the horizon! Join us for the third annual celebration of the spoken word. 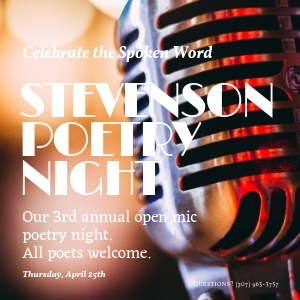 Stevenson Poetry Night features an open mic for professional poets and poetry lovers. All comers are welcome! If you would like to be guaranteed a performance slot please sign up by April 20th. Participants under 18 must be accompanied by an adult. 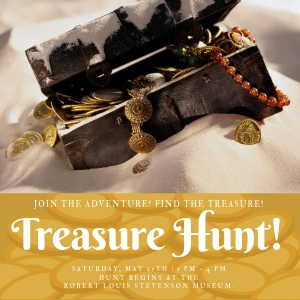 Our annual Treasure Hunt is around the corner! Join the adventure, follow the clues, find the treasure, and win prizes! Walking hunt around downtown St. Helena! Hunt is available in both English and Spanish! One prize per household for the first 10 finishers! 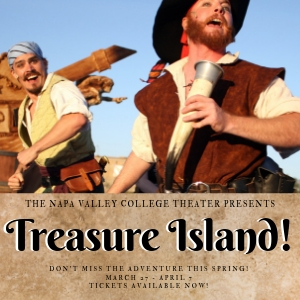 Don’s miss out on Napa Valley College’s new production of Stevenson’s classic Treasure Island this Spring! Set sail for adventure on the Hispaniola with Jack Hawkins, Long John Silver, and the colorful crew as they hunt for buried treasure! Tickets are available now! Painted Pirate! Our new mural! Painted Pirates! 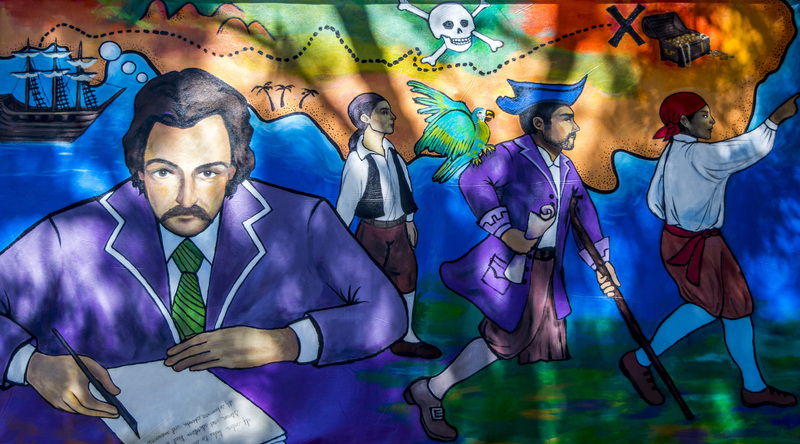 Treasure Island Mural painted by students at Nimbus Arts. Summer 2018. If you would like to DONATE to the RLS Museum and support programs like those listed above please click the donate image below and make your gift NOW! 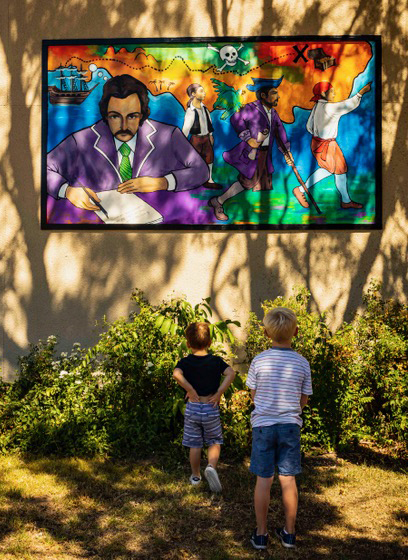 Keep an eye on this page as the Robert Louis Stevenson Museum staff is regularly planning (and updating) events, educational programs, and outreach activities. Copyright © 2019 Robert Louis Stevenson Museum. All right reserved. Site by designthis!